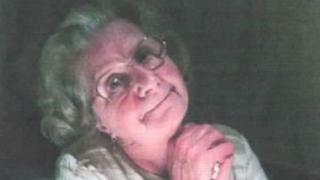 A drug driver who knocked down and killed a grandmother while speeding in a 30mph zone has been jailed for five years. Catherine Akehurst, 85, was crossing Old Shoreham Road in Hove in September 2017 when she was knocked down by Adrian Fasan's car. Lewes Crown Court heard Fasan, 40, had cocaine and amphetamine in his system. He pleaded guilty to causing death by dangerous driving shortly before his trial. Fasan, of Loder Road, Brighton, was also banned from driving for nine and a half years. Sussex Police said Mrs Akehurst began crossing the road when it seemed clear, but Fasan was speeding and did not break before he collided with her, killing her instantly. Fasan had been caught on CCTV undertaking and overtaking vehicles and having to swerve to avoid a collision with another car, the force said. His ABS braking system was also not working, with a warning light visible on his dashboard and his mobile phone was connected to an 18 minute call suggesting he had also been using it at the time of the collision. PC Chris Welsh said Fasan had a "dangerous attitude". "This collision was another tragic case where a life has been needlessly lost," he added. In a statement, Mrs Akehurst's family said she was a "fiercely independent, sweet and capable 85-year-old woman". "Catherine was a well-loved mother and grandmother with a very dry sense of humour, and we will cherish our wonderful memories of her." The family thanked the police, emergency services and the public who "tried to help and comfort Catherine at the scene". She regularly crossed the road outside her house to catch the bus and her local neighbours and councillors are currently petitioning for a crossing to be built near where she was killed.